This year, my sister-in-law (who is just as, if not more crafty than I am) had this awesome idea to take my dish cloth pattern and make it into a blanket! 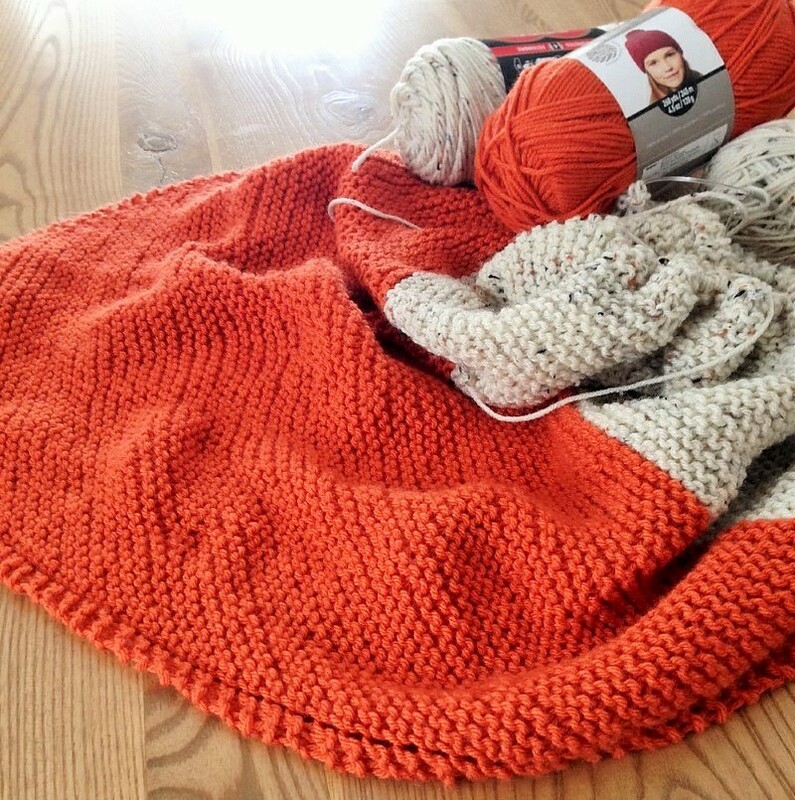 Instead of just knitting to 38 stitches, we would just keep going and going, until we decided it was big enough. 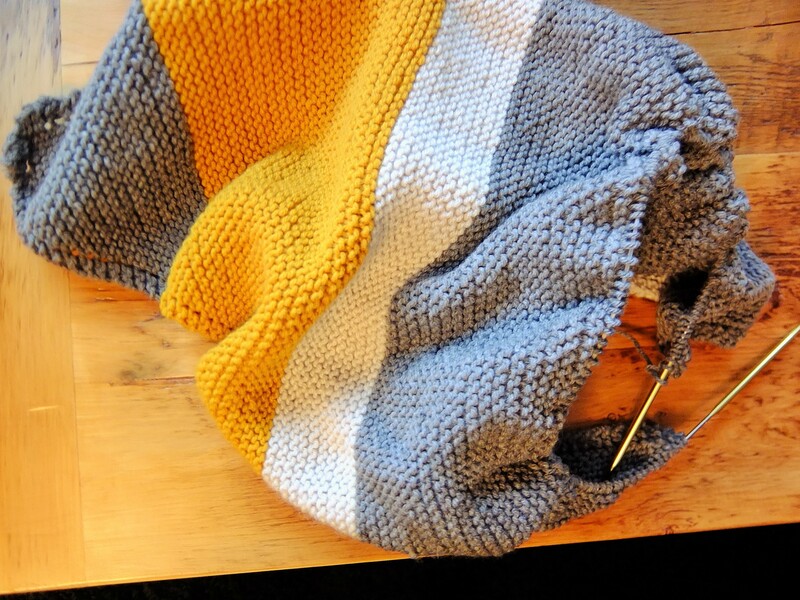 Dish cloths are knit on a diagonal, adding a stitch until we reach the mid-point and then going back down, removing a stitch each time. When I heard that Laura was making a blanket out of the pattern, I couldn’t help myself from running out to Michaels right when it opened to get some wool of my own. The one thing I absolutely love about this pattern is the nice edge you get on the finished product. It makes it a little more fancy without having to actually learn anything new.